According to a study by Ubamarket, a quarter of vegetarians and vegans have unknowingly consumed meat due to unclear food labelling. The market research company report that 40% of consumers do not fully understand what they are eating. Poor labelling in shops and supermarkets means that many customers are confused about which items are safe for those with allergies or with dietry choices such as veganism. 52% of respondents said that UK food labelling standards makes it difficult for those with dietary requirements to make informed shopping decisions. Will Broome, CEO and Founder of Ubamarket, commented: “Food labels in their current form are not serving their purpose. If 23 million British shoppers claim that they are impossible to read, supermarkets, suppliers and regulators should make commitments to reforming food labelling standards. “The British public have shown in recent years that their health and diet are very important to them, what with the rise in demand for free-from and vegan & vegetarian items. And yet, the complicated terms used, not to mention the unnecessary effort involved in identifying particular ingredients that may make an item unsuitable, still result in millions of Brits accidentally consuming food that is either unhealthy, dangerous or misaligned with their convictions. Tod Bradbury, Campaign Manager of Animal Aid UK, has led the campaign for clear labelling in supermarket own-brands. The #MarkItVegan campaign calls for all major supermarkets to clearly label their own-brand vegan products in some way. He says of the matter: ‘In recent times, the number of plant-based, vegan products hitting the shelves and menus has sky-rocketed. 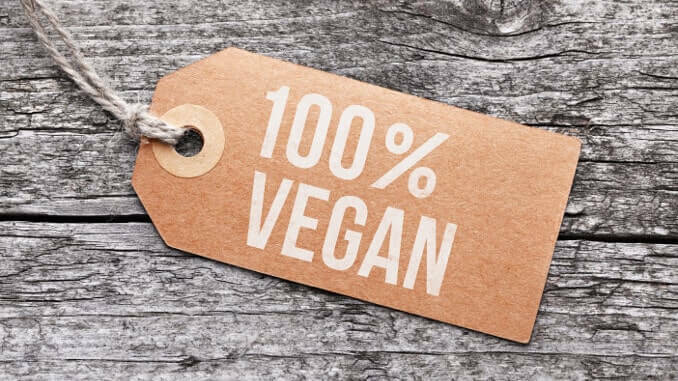 It is now estimated that more than 600,000 UK adults follow a completely vegan diet, with many others opting for a vegetarian diet, or opting to reduce their animal product consumption.